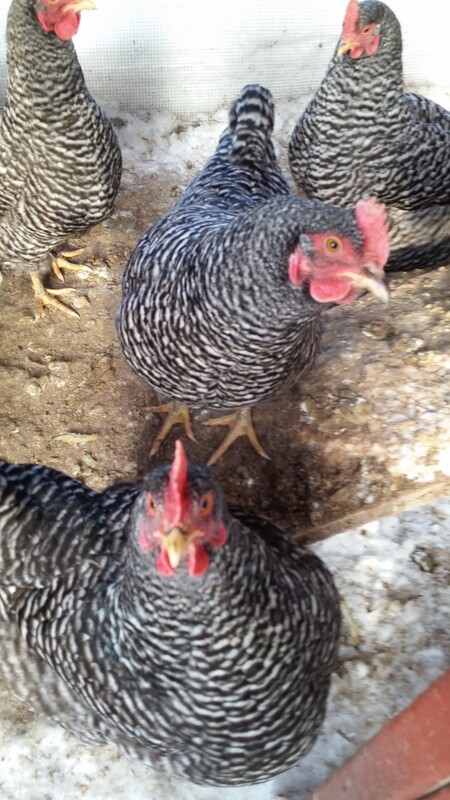 One of the unexpected parts of our move from Oslicken Acres into the Soo was the acquisition of a small group of chickens. The family we bought the house from had a small group of chickens they were keeping in their backyard. 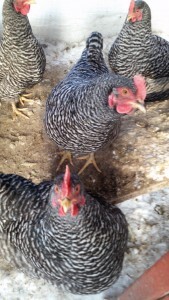 Rather than moving the chickens in the middle of winter they asked us if we would be interested in having them. When Andrew presented me with the idea of having chickens I was not all that enthusiastic. I was thinking of all of the stress associated with moving and having one more thing to look after during the move. I’m also the kind of person who wants to learn a lot about an animal before getting one and I knew virtually nothing about chickens. Enter Google and book purchases to help us up our chicken game. 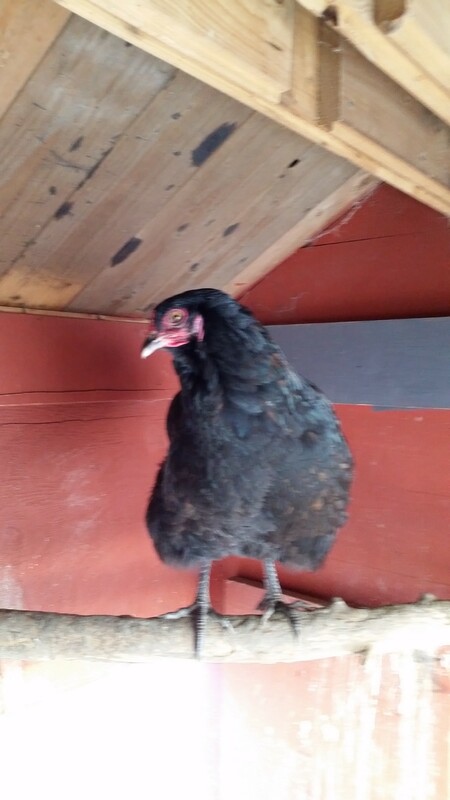 The only black chicken among the seven might be my favourite…don’t tell the other chickens. might be part of their friendliness. And yes there is a little bit of extra work associated with keeping but hem I’m getting a whole lot of joy out of visiting them every morning and evening. Plus they make tasty eggs! a pretty key reason to keep them. It’s also teaching Little Miss about caring for animals and where her food comes from which I think is a really important life lesson. We moved from the country to the city and became chicken owners in the process – a little backwards but definitely fun.